About six months ago, I didn’t think my summer blog content would be anything like it is now. I thought I would have spent all summer in the USA, seeing the likes of Nashville, New Orleans, Boston, Washington DC and New York. I thought I would be travel blogging, sharing tips from my adventures abroad. But that isn’t what happened. I didn’t stay in the USA. I came home to a sleepy country village in a sleepy county in the south of Scotland. I no longer had travel plans. I needed to find some sort of employment. Most of my friends were away on their own adventures or far away so my life suddenly felt very rubbish and what would I blog about? I had turned away from a summer of excitement and adventure I could have had for several reasons. When I landed in the UK and got through the weekend of a friend’s 21st and the following hangover, I was suddenly faced with the prospect of what my summer really looked like. I was unemployed, had no plans, had nothing. Blogging often shares the highlight reel: the exotic holidays abroad, the newest clothes and make-up releases, the experiences to be had far and wide. I was sure my blog would just fizzle out this summer as I felt I had nothing to write about anymore. I wasn’t living in the city, I was at home. M life was very quiet and I had nothing on the horizon. I was only just picking up the pieces of myself, too tired or overwhelmed to think about creating content for this little space of mine online. But I kept things small. I didn’t push myself to find content. I didn’t arrange things, do things, wear things, knowing I could blog about them. I forgot about my blog for a little while and just lived. I went to a friend’s 21st and dressed up for once, so I blogged about my outfit. I started a new weekly blog series about the little things which made me smile in the last week. I blogged about the Papergang monthly subscription box as it arrived on my doorstop each month. I blogged my tarot card reading I had a few months earlier. I blogged about the things I felt I’d learnt when I was travelling. 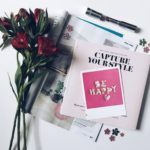 I blogged about my favourite bloggers and my favourite blogger newsletters. I blogged about changes I’ve made this summer. I blogged about my favourite cafes in the Scottish Borders. I’ve blogged a lot and I’m proud of it. I’m proud of my little bits of content. 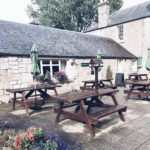 I’m proud of my piece on cafes in the Scottish Borders, I’m proud of my tarot card write up, I’m proud of photographs I took on my bed for the post I wrote on the changes I’ve made in the summer. I’m more proud of the way I’ve wrote them up than I am of the pieces on my trip to London in April or my trip to Philadelphia last summer. 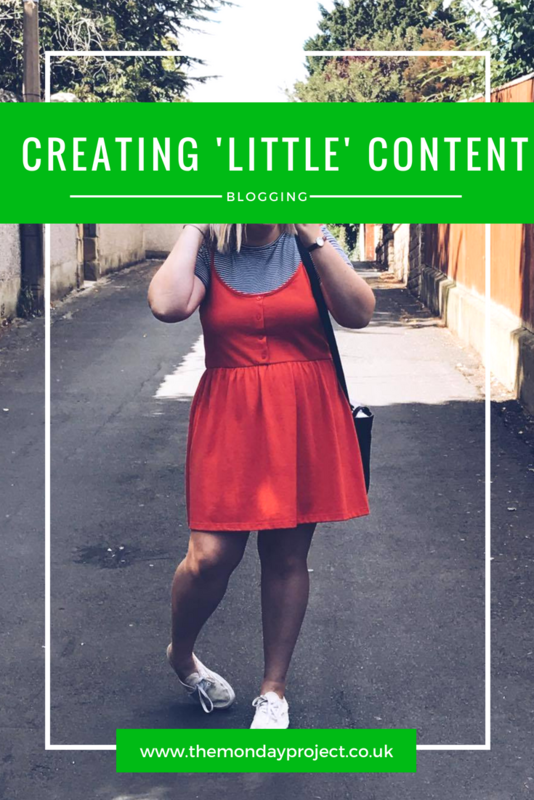 Blog content doesn’t need to be big. It doesn’t need to be flashy or about exotic places or the latest buys. It can be down to earth, homey, cosy. It can be little things that matter to you, things in your local area, things you’ve owned for years. Your blog and your content is yours. It is yours to play around with and experiment with. This summer has allowed to me become more and more confident in my writing style, in my photography, in blogging. I don’t feel awkward about pushing a post on a Twitter anymore because I’m darn proud of it, even if it is about a simple tarot card reading. I don’t know what I would do with my time without my blog and this summer has taught me a lot. I’m so excited about moving on with the rest of 2017, of the things I’m going to write about, even if I’m not sure what they are yet. I have no trips planned or anything exciting lined up but I know if I just keep doing things how I like it, the words will come. After such a lovely summer of blogging, I decided it was time to spruce up The Monday Project before getting back to Glasgow and down to business. There will be no changes content wise, I’ll still be wittering on about the little things every Sunday, chatting about hygge and writing down all the thoughts floating around my brain but I felt tired of my Blogerize design and didn’t feel it fitted with the aesthetic of The Monday Project anymore. Pipdig are fantastic, I would just like to state that first. I had seen many bloggers rave about them on social media before and so many of my favourite blogs have gorgeous Pipdig designs. I had had my eye on the beautiful Valentine theme for a while now and when I finally got paid at the end of August, it was the first thing I bought. Pipdig have a free installation service as well which was fab as I didn’t have to do anything and my new design was ready and waiting when I got home from work the following day after purchase. They said it would be up in the next 48 hours but my new theme was live in less than 24! I hope you all like the new design as much as I do. I love the green aspects. I’ve had a bit of a green reckoning this summer – deciding it’s my second favourite colour after red! I think it makes things look fresh and relaxing which the look I’m going for. I’m really excited to see what will be with my blog for the rest of 2017 and how things will pan out when I go back to Glasgow but having a sassy new design is making everything seem 10x more exciting.